I made this recipe with my sister and can honestly say that these balls are divine! I have a sweet tooth so we decided to make these sweet treats to satisfy my craving. They are so good! The batch we made was devoured within minutes! They also make perfect treats for children. Place the pecans in the food processor till a flour like consistency forms, then add the dates without the stones and all the other ingredients. Blend till a sticky dough forms. 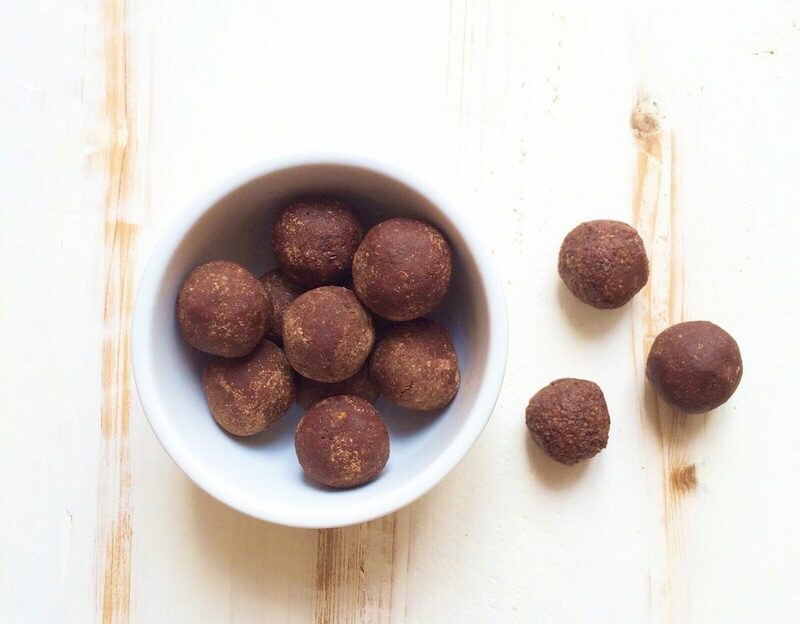 Roll into small bite size balls. Use a little raw cacao powder for dusting. Place in the fridge to firm. If you like them firmer you can place them in the freezer. We kept ours in the fridge. Store in an airtight container. Enjoy!